Apple is back with the latest iteration of its wildly successful smartphone, the iPhone. 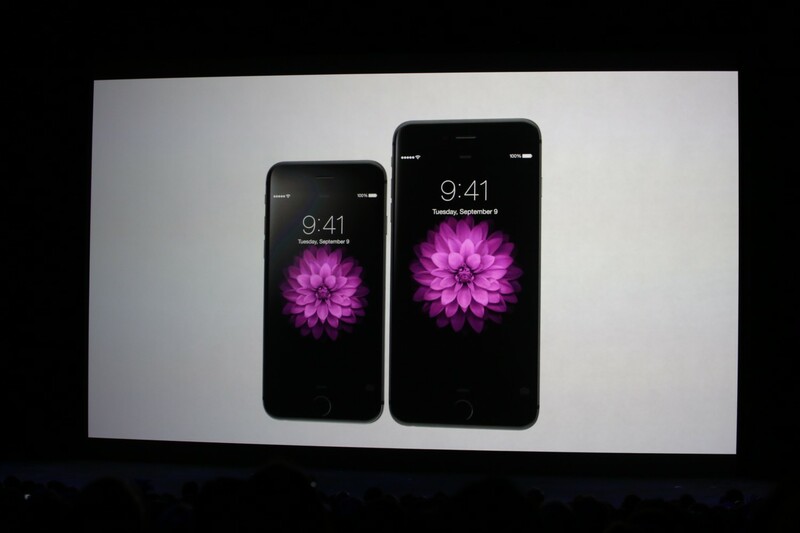 Today, the company introduced two new models: The 4.7-inch iPhone 6 and 5.5-inch iPhone 6 Plus. Both models sport curved edges and rounded corners, creating a more unified and welcoming design. Apple says the back has been constructed from anodized aluminium and features a premium, stainless steel Apple emblem. The iPhone 6 is the smaller of the two new handsets, with a 4.7-inch display and a 1334 x 750 pixel resolution. Meanwhile, the iPhone 6 Plus sports a larger 5.5-inch panel and a more pixel-dense 1920 x 1080 resolution. Both are considered “Retina HD” screens, which Apple describes as a “new generation” of displays for its high-end smartphones. To put that in perspective, the iPhone 6 Plus features 185 percent more pixels than the current iPhone 5s. Both devices are luxuriously thin too. 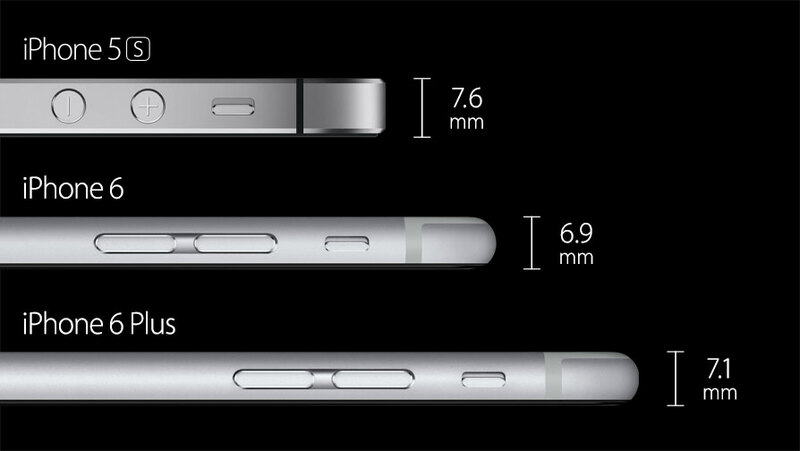 The iPhone 6 comes in at 6.9mm, while the larger iPhone 6 Plus manages a bulkier, but still attractive 7.1mm. Both are skinnier than the already sleek iPhone 5s, which measured 7.6mm on the side. With a larger display comes changes to the overall software experience. Showing the iPhone 6 and 6 Plus side-by-side, Apple was able to show how various apps would look different on the two devices. Turning either handset on its side reveals an altered UI too, similar to Apple’s popular iPad tablets. The home screen will also change automatically in this new landscape mode, ensuring the app icons are always facing the right way up. Both the iPhone 6 and iPhone 6 Plus feature a new gesture called “reachability,” which pulls the entire screen down into the bottom half. The upper section is left entirely blank and it’s designed to help you select buttons and links that would normally be difficult to reach. These features form part of iOS 8, which Apple detailed at length during its Worldwide Developer Conference (WWDC) in June. On the hardware side, the power button has been repositioned on the side. This was expected and is identical to the large majority of Android smartphones that sport equally large displays. In short, having a power button right at the top can be difficult to grasp, especially in one-handed use. Under the hood is a new A8 processor. It’s a “second generation” 64-bit chip that features 2 billion transistors and up to 25 percent faster CPU performance. Graphics performance is also 50 percent faster; both of these should result in a faster, more powerful iPhone with less slowdown, stutters and lag. 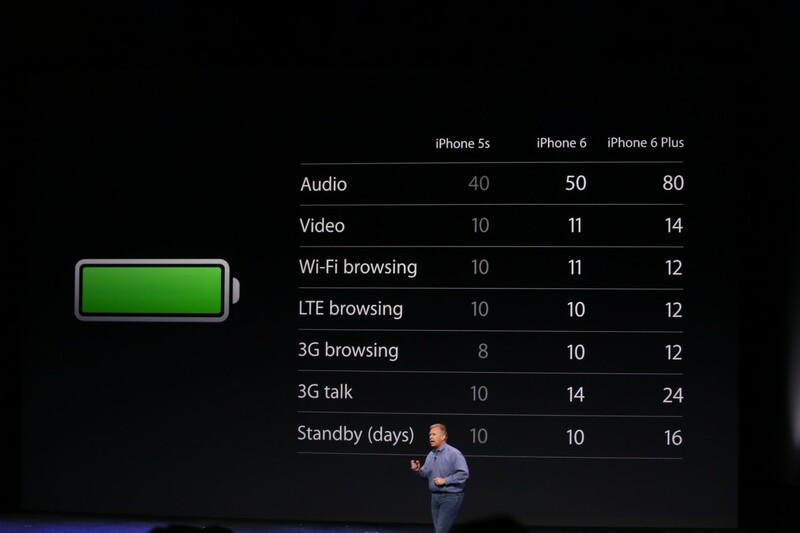 Apple is also improving the battery performance for its new iPhone models. In a chart (below), Apple promised equal or better performance for both the iPhone 6 and iPhone 6 Plus in all areas, including audio, video, Wi-Fi and 3G browsing. Standby time is probably the best metric to judge Apple’s progress, however; the company claims the iPhone 5s managed 10 days on standby, and this will be roughly the same on the iPhone 6. On the iPhone 6 Plus, however, this will rise to 16 days – a noticeable improvement that should please power users. Backing up the A8 is Apple’s “next-generation” M8 motion coprocessor. It’s designed for fitness apps and measuring exercise – it can apparently tell the difference between cycling and running via an integrated barometer. Apple says the Nike+ for iOS app will be updated to take advantage of this feature, allowing users to see how high they’ve climbed each day. Internet connectivity hasn’t been left alone either. The new iPhones support up to 20 LTE bands – more than any other smartphone, according to Apple – and support Voice over LTE (VoLTE) for superior call quality. After all, these are phones – it’s easy to forget about texting and traditional calls, but they’re of vital importance. Apple’s new smartphones will also support Wi-Fi calling, with T-Mobile in the US and EE in the UK among its launch partners. The feature allows for the same phase detection autofocus found in digital SLR cameras. If that sounds like another language to you, here’s the important bit: It’ll result in faster autofocus – up to twice as fast – better local tone mapping and noise reduction. In other words, significantly better images. Panoramas now support up to 43 megapixels, allowing for more detailed sweeping shots. The new A8 chip has also been designed for faster facial recognition and better blink/smile detection when capturing human subjects. The iPhone 6 also features digital image stabilization, while the iPhone 6 Plus boasts the more effective and highly anticipated optical image stabilization. In the video department, the new smartphones support full HD (1080p) recording at either 30 or 60 frames per second. Slow-motion video will be offered at 120 and 240 frames per second, capturing your precious moments in buttery smooth detail. Both models also support “cinematic video stabilization” for smoother footage in unbalanced or fast-moving shooting conditions. 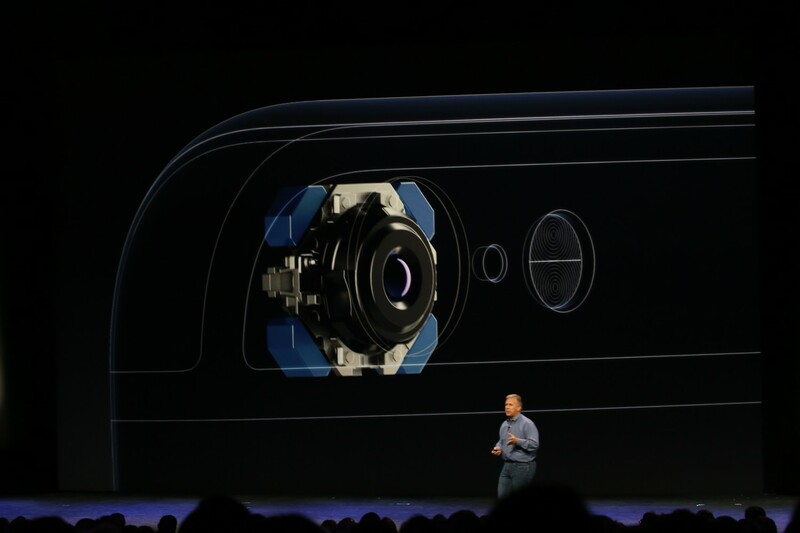 The front-facing camera has been updated too, although Apple has been a little more coy with the specs here. 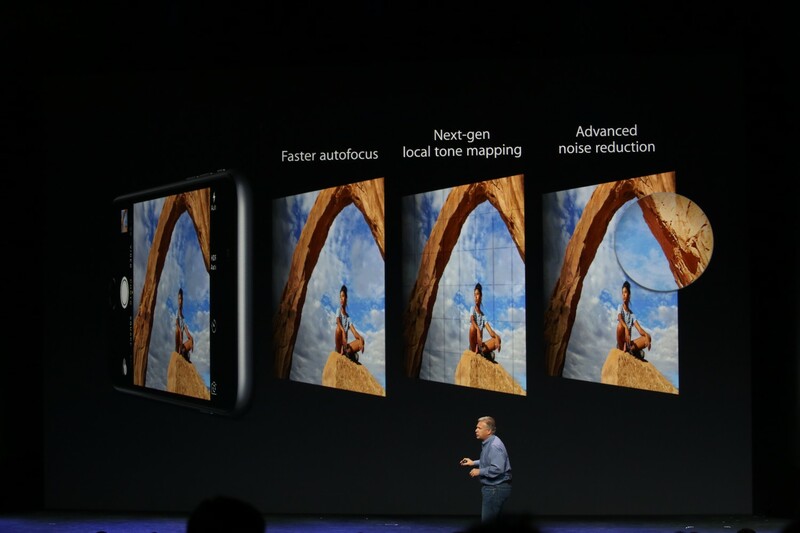 It features a new FaceTime HD camera and an “all-new sensor” which captures 81 percent more light with a larger f/2.2 aperture. Both models should also sport better facial recognition and a new “burst selfies” feature, which presumably captures a series of self-portrait shots in quick succession. At least, if selfies are your sort of thing anyway. The iPhone 6 will start from $199 for the 16GB model, rising to $299 for 64GB and $399 for 128GB. The iPhone 6 Plus will set you back $299 for the 16GB variant, or $399 and $499 respectively for the 64GB and 128G versions. 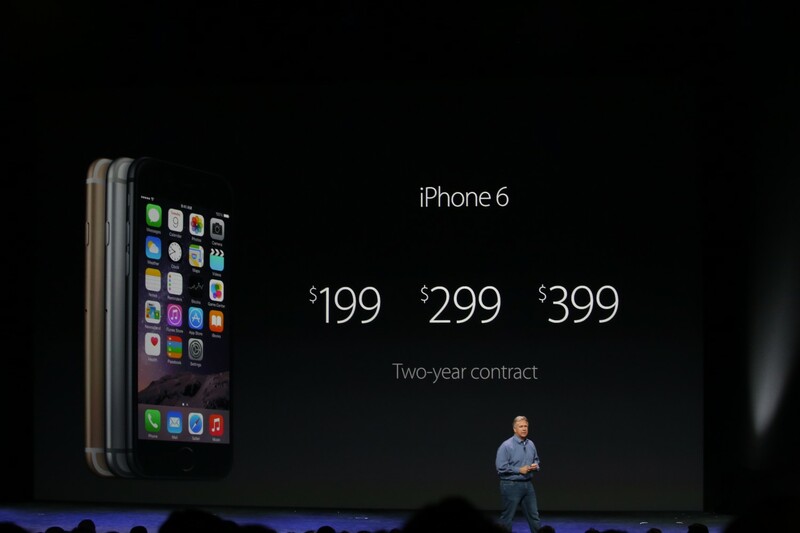 Both will be sold in the US from September 19, with pre-orders opening on September 12. Apple says it’ll be available in 115 countries by the end of 2014. The company will also be selling the phones with a range of optional silicone cases, which come in bright colors such as baby blue, peach, green, silver and red. The smartphone landscape is changing and while Apple still sells a dizzying number of smartphones, the pressure to innovate and offer something fresh has never been greater. Android handsets are simply getting better: The metal design of the HTC One (M8) is gorgeous, the cameras in Sony’s Xperia handsets are proficient and Motorola’s Moto smartphones continue to offer lively customization options. Android itself is improving and what we’ve seen from Android L so far highlights a renewed emphasis on design. All of this fails to mention the steady progress Microsoft is making with Windows Phone 8.1 and the latest range of Lumia smartphones. As such, Apple needs to prove that it’s still the frontrunner in the smartphone industry. The iPhone arguably defined the modern smartphone, but to ensure its continued success, Apple needs new ways to stay ahead of the pack. 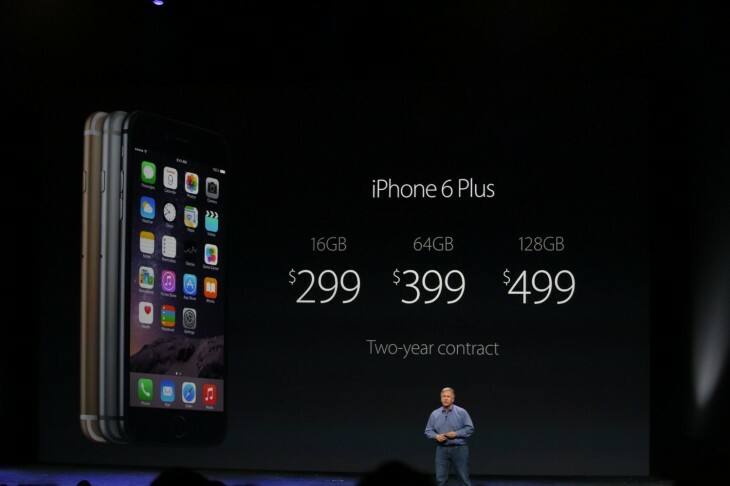 Make no mistake, the iPhone 6 and iPhone 6 Plus will sell like hotcakes. But technology enthusiasts don’t just want a smartphone that sells well. They want a smartphone that is bold, beautiful and simply better than the rest. Has Apple done enough? Let us know in the comments below.